Marley’s wisdom, it seems, knew no limits- much like the near-magical capacities of music. While many can attest to the positive impact of music on their emotional wellbeing, the role of music as a therapeutic tool is less understood and perhaps less accepted, though the idea traces all the way back to ancient Greece. Ancient Greek philosophers were convinced that music could be used therapeutically. This belief was put into practice when those suffering from manic episodes were treated with flute music, and those plagued with symptoms of depression were instructed to listen to dulcimer music. Ancient Greeks were even said to treat hangovers with music. Throughout the ages, the ancients were said to treat a multitude of ailments with the healing tunes of music. Some examples include the biblical King Saul, who was cured of his depressive symptoms by the harp music of David. Other examples include Native American Indian use of music during traditional rituals, which they believed had healing properties. The Middle Ages brought their own practitioners of music with St. Basil, who believed music an integral component of improving morality and Cassiodorus, who acknowledged that music was cathartic. The use of music as a healing agent continued into the Renaissance, with Italian music theorist Zarlino attesting to music’s ability to treat symptoms like pain, depression and even the plague. While the healing quality of music may or may not depend on the listener’s personal preference, the key to the healing power of tunes lies in the frequency of the music’s vibrations. In the Medieval age, Benedictine monk, Guido d’Arezzo developed a special scale (the Solfeggio scale) which was used most famously to comprise a hymn to John the Baptist, that was used in many services. The hymn is comprised of six successive notes on the music scale, meaning that each line is sung a degree higher than the last line. Today, we know this scale more popularly (thanks to The Sound of Music) as Do-Re-Mi-Fa-So-La-Ti. The translation suggests that Solfeggio notes open up a channel of communication with the Divine. During the 1970s, the tones were discovered to have six electro-magnetic sound frequencies which are now associated with various changes in emotional states. Notably, the frequency 528 hz (Mi) is associated with healing and transformation, as well as an increased presence of clarity, intention and awareness. Additionally, frequency 174 hz is often considered a natural anaesthetic, and is said to reduce physical and emotional pain. It is also the lowest of the tones. Those who are attuned to the benefits of the Solfeggio scale actively seek out these tones and use them in meditation or mindfulness sessions and even as a backdrop when practicing yoga or other mindful exercises. Though instrumental and popular music are also associated with calming tendencies as we will later explore, the healing presence of the Solfeggio scales are generally found in music targeted to meditation, as the tones have largely been forgotten in popular music composition. Meditative tunes incorporating the Solfeggio scales are often found for use in a meditation or yoga practice, or just as a soothing backdrop to everyday life. 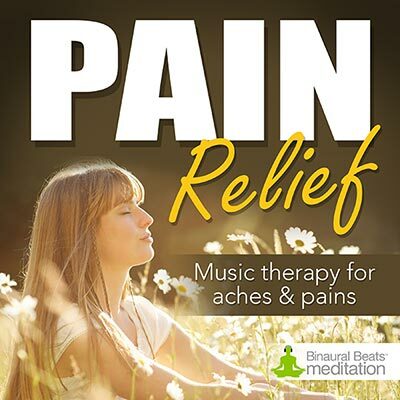 While many skeptics may dismiss the holistic approach of music for pain relief, the use of music to alleviate symptoms and promote well-being is becoming an increasingly legitimate health tool. A recent study from Harvard University has supported music’s tangible role in healing. Dr. Anthony Komaroff, of Harvard Medical School, has attested to music’s ability to improve patient’s mental function after strokes, to improve balance and coordination in patients and to alleviate high heart rate and blood pressure in heart attack survivors. Music also plays an undeniable role in pain management, beyond personal testimonials of pain reduction after listening to music. A recent study of patients undergoing urologic surgery with anesthesia determined that patients who listened to music during the procedure needed less supplementary intravenous anesthesia. Another study, involving cataract surgery, patients were awake during the procedure. Some wore headphones and listened to Mozart sonatas, while some wore headphones, but listened to no music. 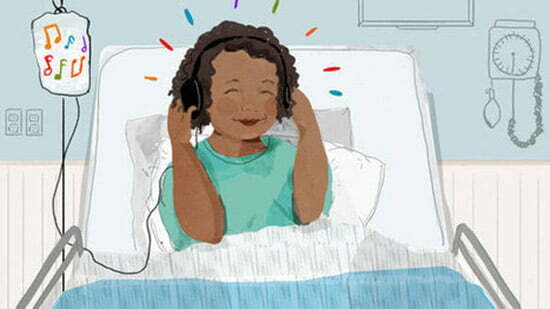 Those who listened to music during their surgery needed sizably less sedative than those who did not. The music listeners also had lower heart rates, blood pressure and less stress hormone (adrenaline and cytokine interleukin-6) present in their blood during the procedure. Though the above example examines the role of music in conjunction with surgery, there is evidence that the components of music alone- or the vibrational beats that comprise it- are sufficient in their healing ability. There is new evidence that the use of isolated musical beats has the ability to spark brain states and deep healing through binaural beats. 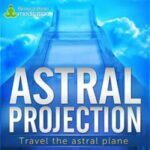 As you'll discover here: binaural beats occur when two different frequencies are directed into each ear, forcing the brain to create a signal (binaural beat), which equals the difference between the two frequencies. The brain will then resonate with that beat, at that frequency, which can influence patterns of thought and states of concentration. In fact, a study conducted in the United States exposed participants aged 26-69 plagued by chronic pain to alternating binaural beat music for pain relief and placebo recordings for 20 minutes daily. The study was conducted over 14 days and the results found that there was a 77% drop in reported pain after the listening session with the binaural beats. 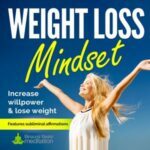 This developing understanding of the benefits of binaural beats goes hand in hand with the use of brainwave entrainment (BWE), which also utilizes rhythm to alter the frequency of subject’s brainwaves, and subsequently affect emotion and brain states. BWE is used in a variety of circumstances, though studies have specifically been conducted on children with ADHD, those with anxiety, those with behavioral issues, children with cognitive delays, those with headaches and varied heart rates, and even those who suffer from PMS and stress. In a 1997 study, children affected with ADHD were treated with BWE to decrease theta waves, which prevent an individual from consciously focusing. Therapists attempted to use entrainment to stimulate beta waves, which are associated with critical thinking and concentration. At the end of the study, the children’s teachers and parents alike reported improvements in the children’s ability to focus and control impulsive behaviors. Researchers hope that BWE could act as an alternative to medications that control such behavior, like Adderall. Breaking music down into its vibrations and beats is an increasingly powerful tool for researchers and occupational therapists, but what about medical doctors? Do sound waves have a role in Western operating rooms beyond soothing a patient mid-surgery with their favorite song? Scientists are discovering that sound waves have the ability to correct neurological imbalances without invasive surgical procedures or drugs that can negatively impact patients during or after a procedure. A team at St Mary’s Hospital in London recently used sound waves to complete a successful operation deep inside a patient’s brain. The team used a focused ultrasound (sound waves vibrating at frequencies too high for humans to hear) to destroy the faulty electrical brain circuits that were responsible for a shaking, shuddering tremor in the patient’s right hand. The ultrasound waves were targeted at a high intensity, generating enough energy and heat to destroy the cells of malfunctioning tissue. Doctors say that the procedure could be a suitable treatment for the symptoms of Parkinson’s Disease, which include muscle slowness. It may also be a non-invasive alternative to treat brain tumors. Music is a critical component of everyday life. It helps listeners wake up and go to sleep. It can spur relaxation or movement- rest or motivation. It is a powerful influencer in human emotions, and can quickly and easily shift a listener’s mood. But music is also developing a reputation as a healing agent for those who suffer from chronic pain, anxiety and depression. 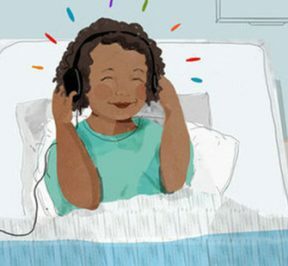 Musical components, like the frequencies and vibrations of binaural beats and ultrasound, are increasingly used in cutting-edge medical treatments that have the ability to correct issues in the body without the use of potentially dangerous drugs or surgeries. In other words, if you’re searching for a more holistic way to heal, music may just be the restorative cure-all you’ve been waiting for. If you are experiencing pain, tension or discomfort, try our Pain Relief download for a holistic, safe approach to healing.